Flat Top Johnny's offers 12 Tournament Size Pool Tables. Covered in red felt, and maintained to the best of our abilities,our tables rent for $12/Hr. on most nights, $6/Hr. before 6. We offer 1/2 price and free pool on selected nights, so follow us on Facebook and Twitter to get those delicious specials. 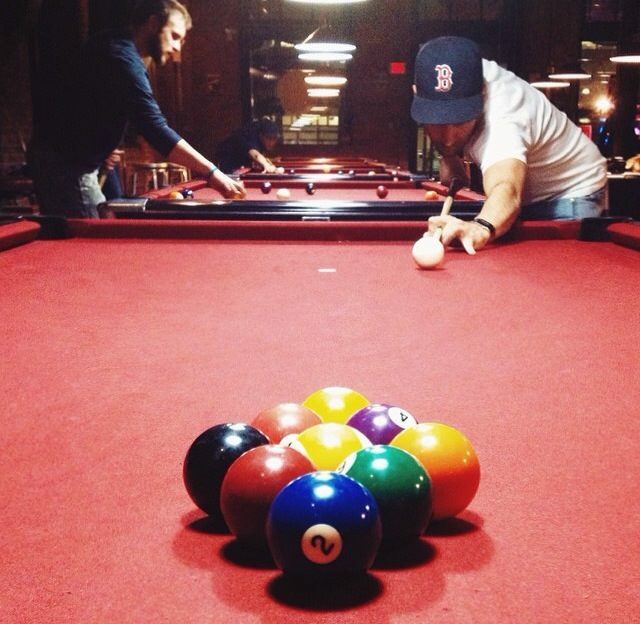 The pool room is the perfect spot for a group of friends, or a couple of serious players to play the night away. So come in get those balls on the felt and let loose. If pool is not your thing, we have 2 dart board lanes that are fully equipped and free to the public. Still not your thing? 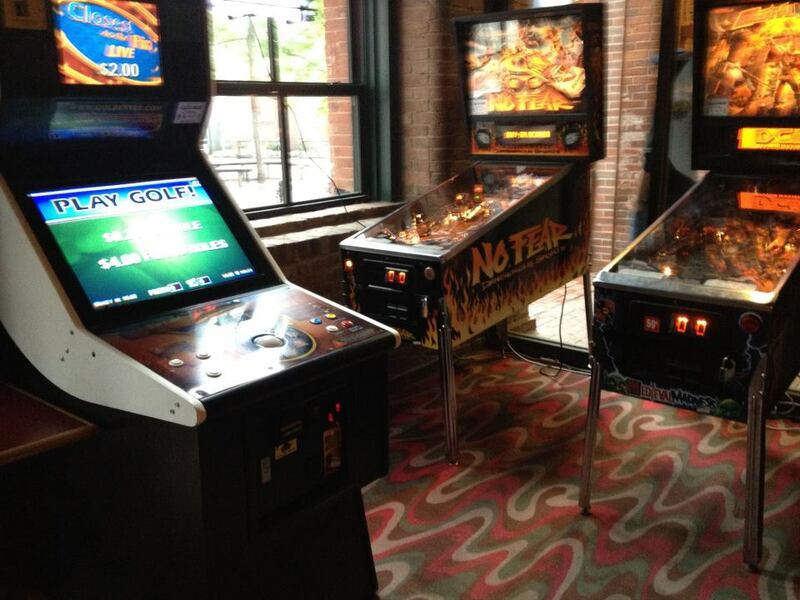 Then hit the arcade, which features some classics as classic pin ball and Golden Tee.